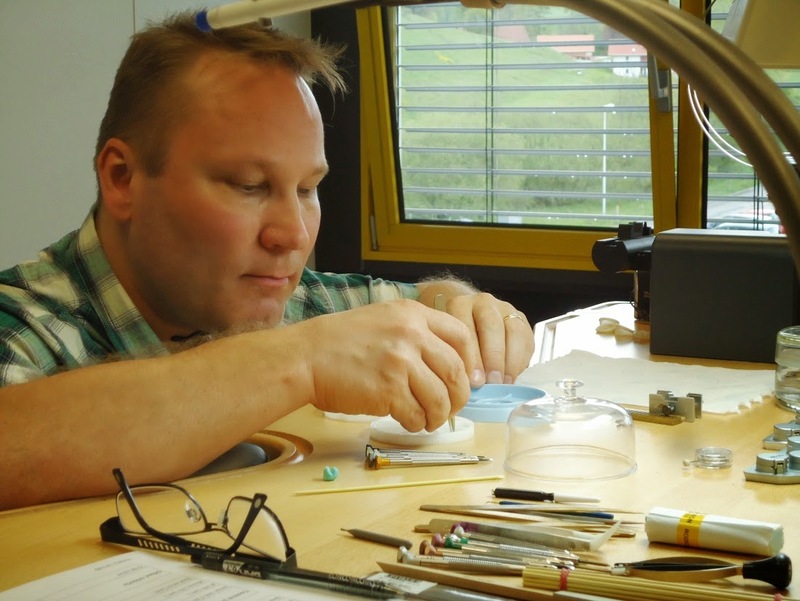 One of the attributes of a great watchmaker is that he takes good care of his screwdrivers, and that he can sharpen them efficiently when they are becoming risky to use. 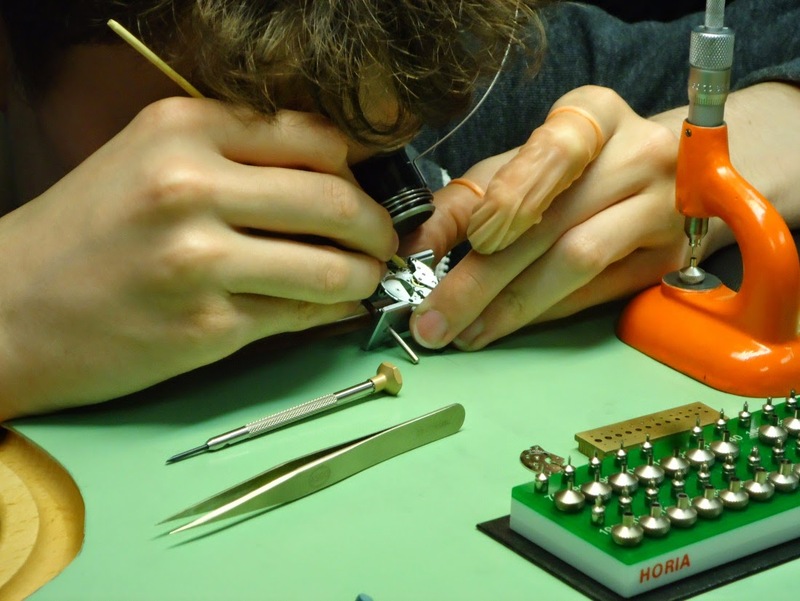 The students spent 2 weeks only sharpening screwdrivers, by hand and without any helping tools. It takes a lot of practice - and blood, sweat and tears - to be able to do this and screwdriver sharpening free hand is also a great way to maintain the micro-mechanical skills the students have acquired. 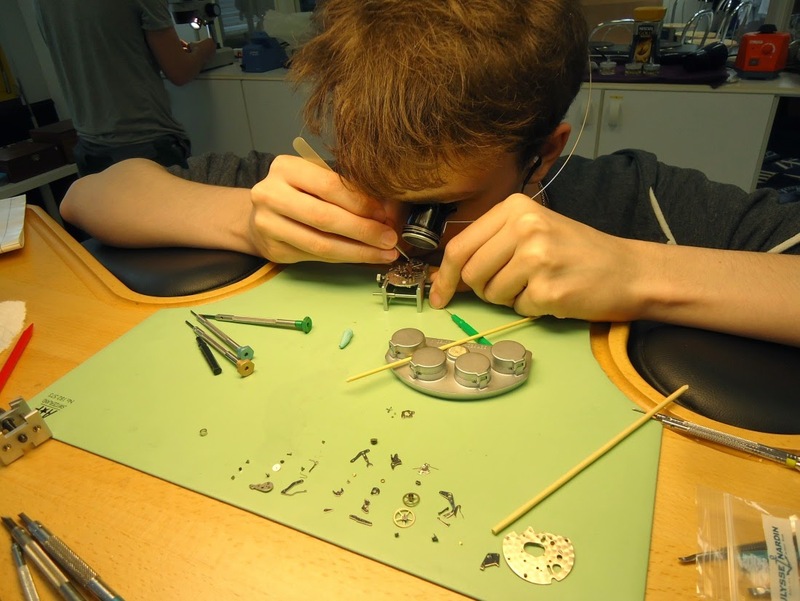 Two students from IJKK-Watchmaker school from Finland visited K&H for a Swiss watchmaking practice stint just before they graduate. 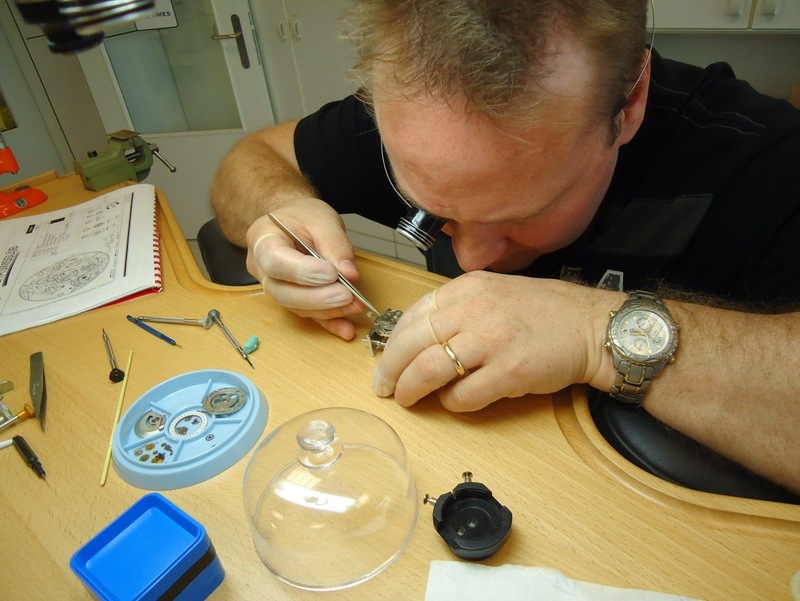 Our Finnish colleagues have good ground training in micromechanics, which is a core skill that boosts workmanship quality in watchmaking. This comes from their strong base in clock making. We wish them the best for their career, and hope to hear from them sometime in the future. Starting a movement assembly exercise. And meticulous oiling and lubrication during assembly.